Transportation Costs > How Much Does a Speeding Ticket Cost? One of the most common violations committed by drivers is speeding. If the officer decides to issue a speeding ticket, which is more than likely the case, the fine will depend on your state, local city and how fast you were going over the speed limit. The average speeding ticket cost can be anywhere from $20 to as much as $1,000. A speeding ticket in the San Diego area, for example, can cost anywhere from $273 to $250, while a speeding ticket in Vermont can cost as much as $1,000. Generally, the faster you go, the more you’re going to pay since the cost of a speeding ticket will depend on how fast you were traveling. Refer to the table below to see what your state may charge you for a speeding ticket. If you did get a speeding ticket, pay close attention to the speeding ticket as most tickets will have the fine printed directly on it. How Stuff Works says the average cost of a speeding ticket is $150, including the court fees. The website also notes that if you were to speed more than 15 miles per hour over the speed limit in Texas, the fines could be close to $240. The speeding ticket will be broken up into different categories, commonly including 0-10 mph over, 11-15 mph over, 16 to 25 mph over, and 25+. Also, depending on the state, the speeding ticket can either be considered as a civil offense or a criminal offense. A criminal offense is often applied to tickets that exceed a certain speed limit anywhere in the state or in a school/construction zone. Criminal offenses can lead to higher fines and even jail time, depending on your history. When you receive a speeding ticket, you can do two things: either pay the ticket or fight it. If you were to pay it, this can be done either online or in person at a local court building. Doing so will admit guilt and you will accumulate driving record points, which is about two to three points, and a license suspension if you have too many points on your record. If you fight the ticket, you will have to contest your ticket either by representing yourself or hiring a lawyer during a court appearance. If found guilty, you can appeal the case or in some cases, the case will be dismissed or you can plead to lesser charges. Regardless of which speeding ticket this is, it can affect your life for the next few years since your car insurance will increase, additional points may be on your license and/or there could be loss time from work to go to court if you were fighting the ticket. An officer may write you a ticket for more than just speeding. Depending on your circumstances, this could include an improper lane change, not wearing your seatbelt, driving without a license and/or reckless driving. Each additional offense will increase your fines. Hiring a lawyer to help fight your ticket can be an additional cost. 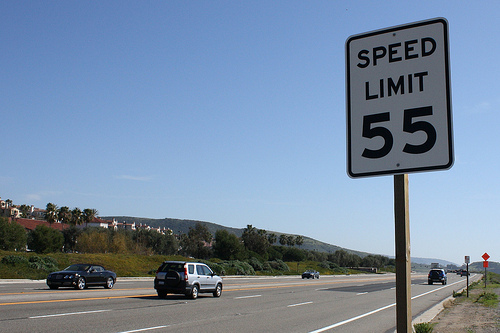 Most lawyers who specialize in speeding tickets will charge about $700 to $1,500. Most of the time, though, these lawyers will only be hired by those who risk jail time or getting their licenses revoked. There are several fees involved depending on your state laws. If you’re required to go to traffic school, expect to pay another $20 to $130. Some states may require this, while others may allow you to take it in order to get a point deduction on your record. Special schools and construction zones can increase the costs and points on your record. Most states can double or even triple the fine that was issued, and in extreme circumstances, it could lead to jail time. Multiple offenses can lead to a suspended license. To get your license back in the future, additional fees will apply. Some states allow you to bypass the fine if you agree to take a defensive driving program. Check with your local city to see if any programs are available.